“With the heat increased the wind, which came howling across the prairie, until at last there arose a perfect hurricane. Mighty flakes of fire, hot cinders, black, stifling smoke, were driven fiercely at the people, and amid the terrible excitement hundreds of them had their very clothes burned off their backs, as they stood there watching with tearful eyes the going down of so many houses”. 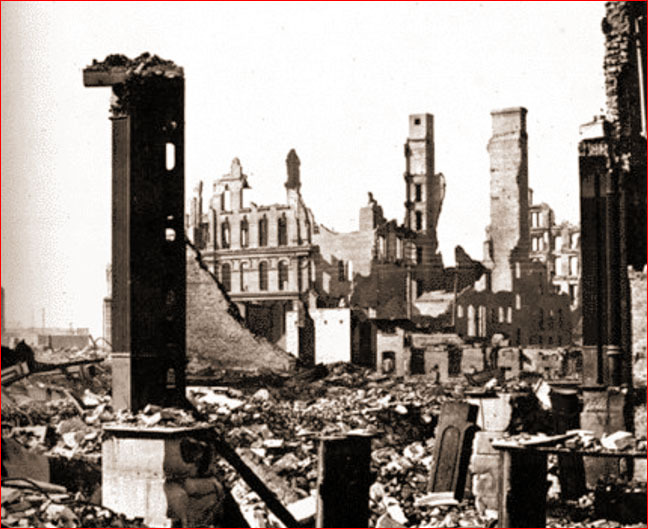 — James Goodsell's History of the Great Chicago Fire, October 8, 9, and 10, Published 1871 by J.H. and C.M. Goodsell. NEXT: The Chicago Fire (2): Where was Comet Biela?